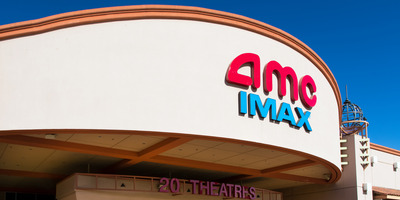 Ken Wolter/Shutterstock.comAMC Theatres has launched a new tier to its monthly subscription plan that competes against MoviePass. AMC Theatres has announced the launch of AMC Stubs A-List. For $US19.95 (plus tax) a month, you can see three movies per week. You get perks like free refills of popcorn and online ticket fees waived, while also being allowed to see a movie in any format and see the same movie as many times as you want. AMC, the biggest movie chain in the world, is now in direct competition with MoviePass. AMC Stubs A-List launches on June 26. AMC Theatres has decided to up its subscription game and go head-to-head with MoviePass. For $US19.95 (plus tax) per month, members will get to see three movies a week in theatres. They will also get all the benefits of the AMC Stubs Premiere plan (free refills on popcorn, online ticketing fees waived) plus being able to book tickets in advance, see a movie in any format (IMAX, RealD 3D), and can come back and see the same movies. (However, if you don’t see three movies in a week, they do not carry over to the following week). Many of these perks – like advance tickets, seeing non-2D movies, and seeing the same movie again – are restricted by MoviePass. AMC’s launch of Stubs A-List doesn’t just make it a major competitor with MoviePass (Cinemark also has a $US8.99 subscription service that lets you go to one 2D ticket per month), but shows that movie theatre subscription plans are not going away. With MoviePass proving that audiences will go to the movies more often if given an attractive way to do it (MoviePass boasts it represents more than 5% of US box office receipts and has over 3 million subscribers), the chains are clearly taking the model and running with it. They no doubt, however, hope their subscription programs can be more financially viable than MoviePass. Stock of MoviePass’ parent company, Helios and Matheson, sank to an all-time low of $US0.29 early Wednesday.